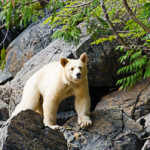 The Spirit Bear, also known as the Kermode bear, is a relatively rare creature found only within the Great Bear Rain Forest. The animal is actually a black bear born with a creamy white coat, the result of a mutant gene. About one in 10 cubs is born with this unique characteristic. SBL does not guarantee a Spirit Bear sighting, a rare find, but the guides work diligently to find the animals. Being a bit bear crazy, news of this recent sighting encouraged our hope that we would be among the next assembly to witness the magical white bear. Tawny, aromatic, and warming, bourbon is the only true American spirit. It’s crafted up-river in Kentucky. 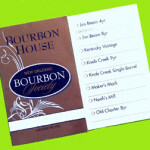 New Orleans shares in bourbon history. Countless barrels have moved down the Mississippi on their way to New Orleans and points around the globe.